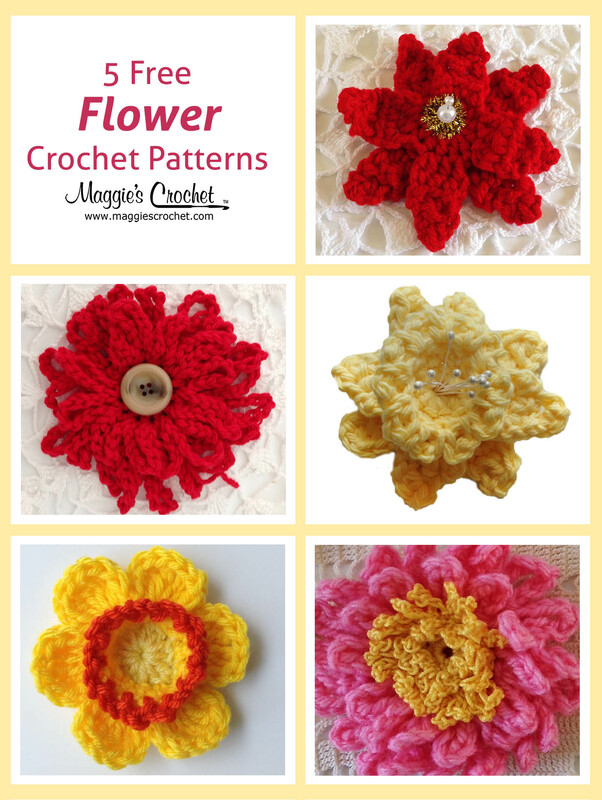 This week, we are pleased to offer five free flower patterns. 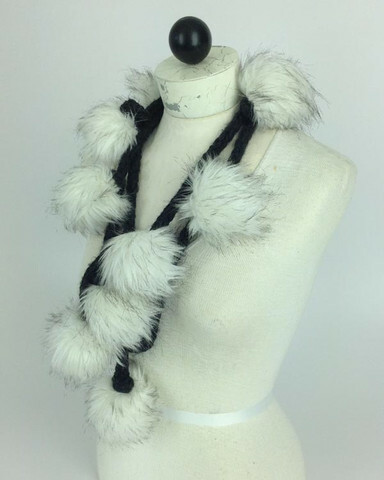 Follow the links below to see the pattern for each project, along with the suggested materials and a video tutorial. 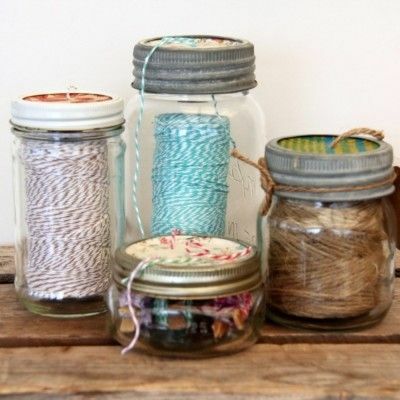 Most of these projects can be worked with any weight of yarn. Finer yarns will produce a smaller flower, and bulkier yarns will produce larger flowers. Just be sure to pick the hook size appropriate for your yarn! Our samples were made with worsted weight or light worsted weight yarns. 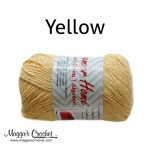 Click the photo for Home Cotton worsted weight yarn. 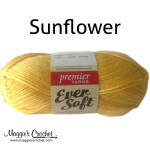 Click the photo for Ever Soft light worsted weight yarn. Click the photo for the Poinsettia pattern and video. 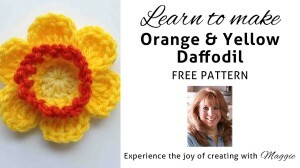 Click the photo for the Orange & Yellow Daffodil pattern and video. 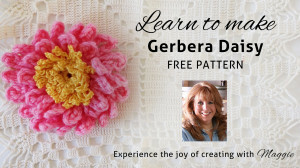 Click the photo for the Gerbera Daisy pattern and video. 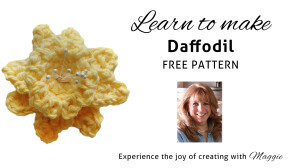 Click the photo for the Daffodil pattern and video. 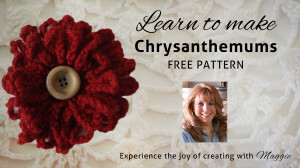 Click the photo for the Chrysanthemum pattern and video. Not enough flowers for you? 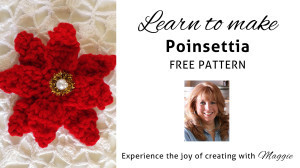 Check out all of our Free Flower Patterns.